FireGPG - Welcome to the official website of FireGPG! Welcome to the official website of FireGPG! FireGPG is discontinued. Please read details here. 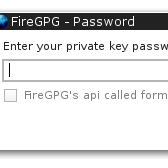 FireGPG is a Firefox extension under MPL that provides an integrated interface to apply GnuPG operations to the text of any web page, including encryption, decryption, signing, and signature verification. 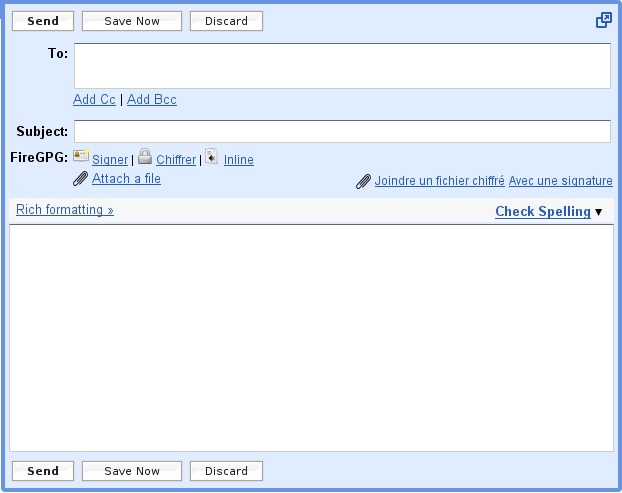 FireGPG adds some features to the Gmail1 interface to let you use GPG's features directly in your webmail. More webmail applications will probably be supported in the future. 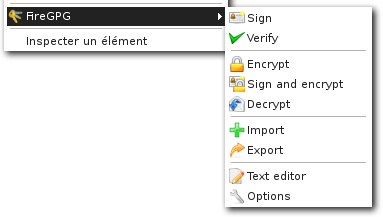 FireGPG is OpenPGP/mime compliant ! 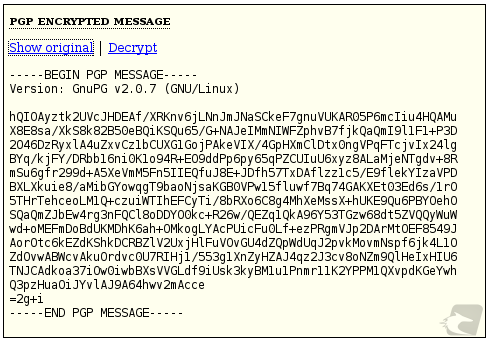 FireGPG is able to detect PGP blocks in any page (for example a public key), and lets you easily manage these different blocks. FireGPG has an API that allows you to design a website that uses GPG's features on the client; for example to autheticate a user for an administration pane. 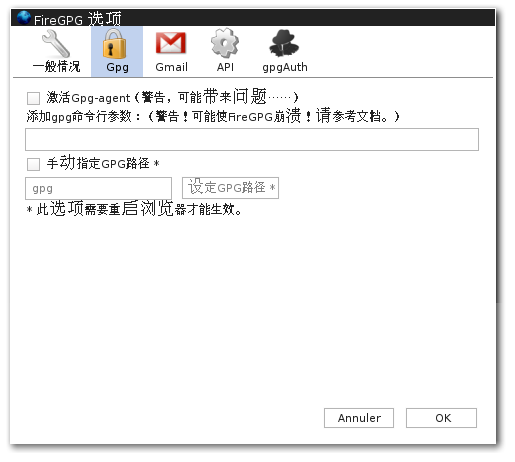 FireGPG is currently translated into many languages. We encourage you to contribute; it's easy ! Interested ? Have a look at the screenshots's page or Download FireGPG ! 1 Gmail is property of Google. FireGPG isn't affiliated with Google.